Eye surgery has experienced many developments over the years. It has moved from a laborious procedure fraught with various risks and side effects to one which can be done in less than an hour through advanced technological development. The introduction of laser technology in eye surgery has been a giant leap in the efficient and effective correction of eye defects and is associated with little or no side effects. Wavefront eye surgery takes the whole laser technology in eye surgeries to a whole new level. What is Wavefront Eye Surgery? The use of Wavefront technology in eye surgery gives a higher success rate. This is mostly because this technology makes it possible for treatment to be customised to fit each individual patient’s eye. Just as each individual is different from the next, so also are the eyes. While the use of LASIK (Laser In Situ Keratomileusis) or LASEK (Laser Assisted Sub-Epithelial Keratectomy) will produce great results in the average person’s eye, some patients do not fall into this category, hence the use of wavefront surgery. This method can be used on both LASIK and LASEK eye surgeries and is also known as custom LASIK or custom LASEK. What it does it that it enables the surgeon to provide precise treatment on a patient’s eye without any of the side effects associated with the other forms of laser treatment. Basically, there are two types of wavefront surgical procedures and the shape of the patient’s eye is the determining factor. A preliminary scan is made of the cornea and where the patient has a normal cornea surface but has an eyeball that is unevenly shaped, the procedure that is used is the optimised waverfront, which is also known as OATZ (optimised aspheric treatment zone). This is used to thin the cornea and get it into shape. The customised wavefront procedure is for those with a normal eye shape but an irregular corneal surface and is used to create a smoother corneal surface. This process is also known as CATZ (customised aspheric treatment zone). Before any eye surgery is performed on a patient, the initial step is to measure the eyes to determine optical performance and the operation is scheduled. 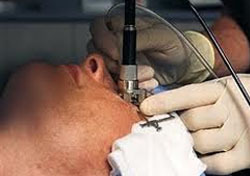 During the operation, the patient goes under the wavefront laser machine as the surgeon uses the machine to determine where to focus the laser. The machine shows the laser just what bits of the cornea should be removed in order to effectively correct the eye defect. For the highest possible result, the surgeon makes use of a wavefront map during the surgery. Wavefront eye surgery typically costs more than your average LASIK or LASEK eye surgeries. Generally, laser eye surgery can be a bit on the expensive side with an average of £600 to £4,000 per eye if you are using a private clinic. However when you add wavefront technology to it, the cost increases and is usually around the region of £400 per eye added to whatever the laser surgery costs. NHS conditions are general when it comes to eye surgeries of any kind which are generally covered if the surgery is for an eye condition which would lead to blindness or loss of vision if surgery is not undertaken.